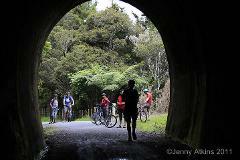 Cycle 40kms Kaikohe to Historic Horeke on the West coast of Northland. Follow ancient pathways Maori travelled from coast to coast. Trail meanders from central high ground down to sea level. Tunnel, lake farm and bush land. Easy 1/2 Day ride from Kaikohe to Okaihau. 14kms Bike and helmet provided plus return transport as required Information and support. 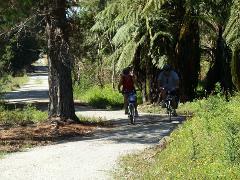 Twin Coast cycle trail.The Eastern half of the trail between Opua and Kaikohe. Almost all on old rail corridor. Can be ridden either way. Includes bike and helmet hire plus transport to and from the trail to enable participants to ride the full 84 km trail over two days. 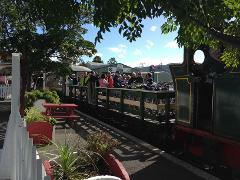 Accommodation at either end as well as in Kaikohe (the centre point) can be provided as an extra.